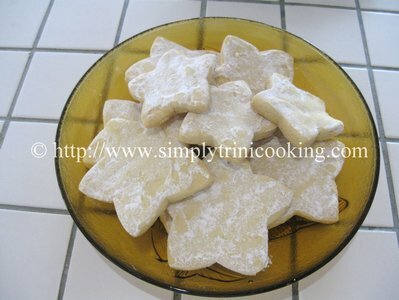 If you like cookies you would like this shortbread, and this story. The mist blanketed mountains slept lightly in the morning; ever pulling for cover to grab one last wink as the lazy sun awoke again to strut across the pastelle blue canvas of a sky. The sky was soon punctuated with wisps of cotton stretched, frazzled and fluffed here and there. Then the jungle became alive. It was morning, Semp, Kiskeedee, Blue Jean and Parakeet were singing their morning vespers, and the howler monkeys were rejoicing high in the canopy at the start of a new day. Even Agouti, Lappe and Manicou raised their heads in acknowledgment for a while. They were busy about their own business under the sun pocked shadows of the thick overgrowth. Macajuel was curled up into a tight ball in a hole by a silk cotton tree – his ruby eyes peering, blinkless, and flaming.It was a very alive morning to go hunting, but was it? I think not, for Papa Bois was in a fury. Ten agoutis were killed and left for dead and two wild hogs (quenks) were killed only for their teeth. His eyes were glaring; he was mad. “How can anyone do such things? Where is the respect owed to me? The next person I find in the forest will pay for this.” he snarled…. Dusk came and night had set in. The flame from the carbide head lamp was seen miles off, setting the trees ablaze in orange hues as they passed; two hunters were on the trail of a deer they had seen the day before. But was it a deer? Of course not. Papa Bois turned himself into a deer and was leading the men deep into the forest. The deer crossed the ravine and the tracks suddenly disappeared. To the dismay of the hunters, they had lost track of where they were and soon realized they were lost. Papa Bois mesmerized them and the terrain of the forest seemed so strange…sticks turned into large tree trunks and the ravine flowed in the other direction. They were truly lost and the lamp was getting dimmer by the minute. Fright crept in as the last flicker of light went out; only the grey green shades from the full moon threw its light; but the night was just starting to become interesting. It was Papa Bois’ turn to have his revenge. He wanted to turn them into an agouti and a wild pig. He wanted them to feel how it was to be hunted. Actually, he just wanted to scare them a bit. The sky grew dark and rain started to fall. The ravine swelled into a gushing river and the earth turned into a muddy quagmire. Cold, frightened and worn out from the elements, the hunters lay tired, trapped between thick knotted roots. Then Papa Bois spoke: “As for you two, you are never to return to the forest; but you will have to pay for your freedom. Give me the food in your bag.” One of the hunters grabbed a bag of shortbread he had just taken to munch on while hunting and gave it to Papa Bois. Papa Bois held his hand over the bag and said a magical spell and spoke again “Eat it.” The frightened hunters obeyed…as soon as they ate it they found themselves in their pick up van bewildered as to what happened. They drove out of the forest never to return again. ……. 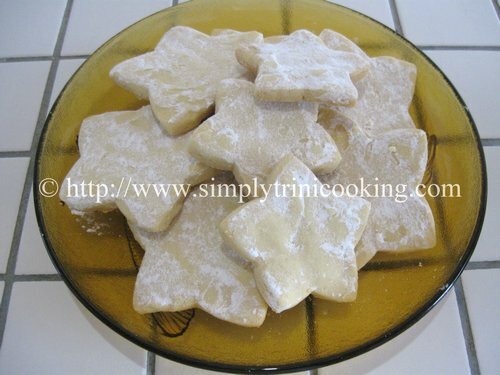 As for the shortbread…..Let’s just say that its magical and very mysterious in all respects…Try it and you’ll see. It really makes you forget the world around you for a while…. 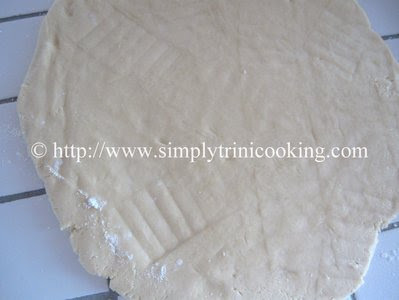 Measure 2 1/4 cups all-purpose flour, then remove 4 tbsp. 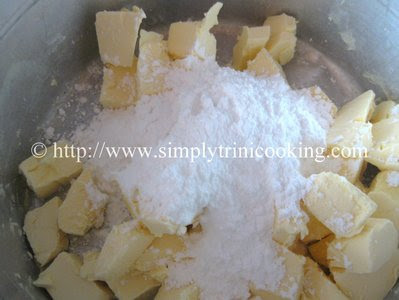 and 1 tsp of flour. 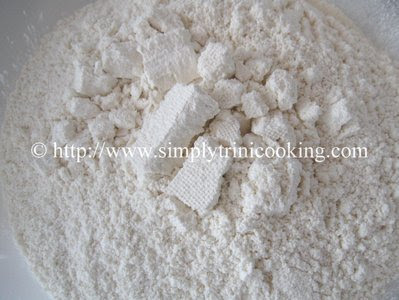 Replace this flour you removed with 4 tbsp. and 1 tsp. 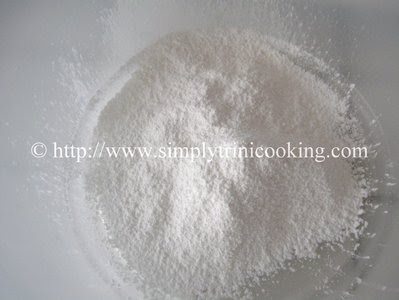 of cornstarch. 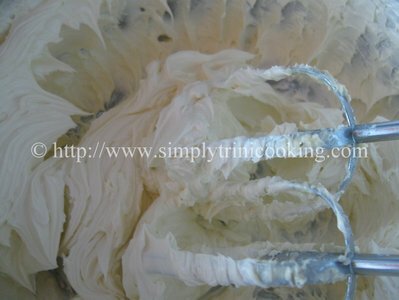 Then, sift the flour twice. You can now proceed to the recipe. Sift the flour and cornstarch mixture. Set aside. 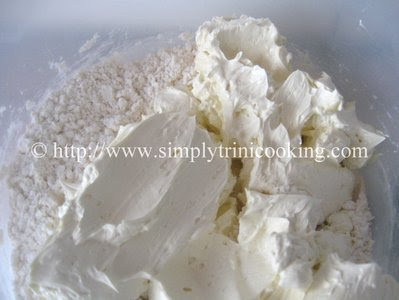 Pour the cream into the flour mixture. 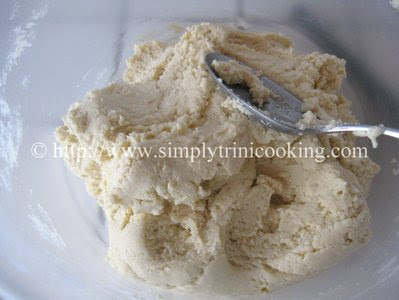 Mix to form a soft dough. 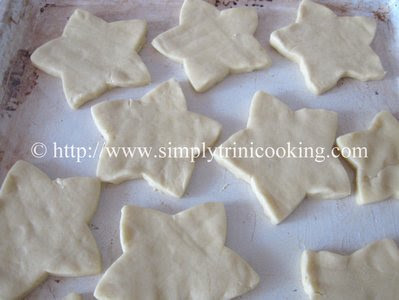 Roll out the dough and cut into desired shapes with a cookie cutter. Bake in a preheated oven at 225 degrees F for about 45 minutes. Mmmmm! Delicious …Oh…. Oh! I think I’m feeling the magical effects. lol! What a wonderful story don’t you think? Well, lots more to come. I promise. P.S. For those of you who are not familiar with Trinidad and Tobago Folklore, Papa Bois is referred to as the Father of the Forest: a mythical being with shape shifting abilities who dislikes the senseless destruction of wildlife and the environment. P.S.S. I believe this post deserves a like and 2 tweets. The story alone is worth a few thumbs up. So if you have the time just click the like, tweet and share buttons with wonton abandonment. lol! Hope you enjoyed this post and the shortbread recipe.